I've just received my ultimaker 2+, and printed out the stuff on the memory card - all fine. I've now attempted to print my object, and it is laying down too much material, and driving into itself. I can't see an obvious setting to reduce the flow into the feeder for the entire print. Hi @UncleFungus , thank you for your post and welcome to the community. 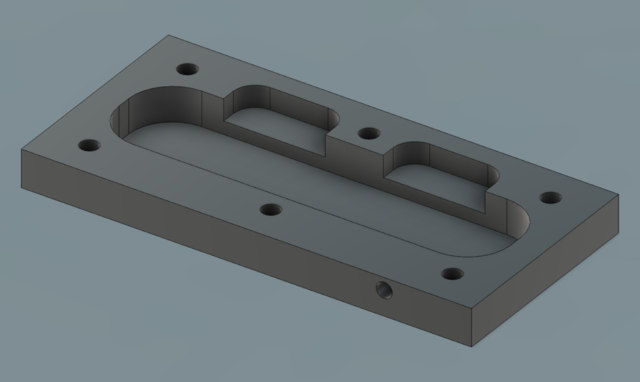 Do you have a photo you can share of what your object is supposed to be (like a screenshot from Cura? ), and a photo of what your Ultimaker is doing? Thanks! The object is roughly 30x15x3mm - sorry the part is warped after I chucked it on the bin. It is more obvious when it starts to do the 2nd layer, because the nozzle is dragging through the previous ones, and creating a furrow, which then hardens and it all then gets a bit out of hand! Curiously, If I save to the memory card, and do it from there it doesn't happen, but I don't get all of the print - it misses the base part. How do you print with your Ultimaker 2+ if not via memory card? The USB entrance is mainly used to upload new firmware, it's recommended not to use it for sending gcodes. Can you also share a screenshot of your Cura settings? Is the blue surface some type of blue tape you print on for adhesion? What material do you print with? The blue surface is just my bench - it has been removed from the printer at this point. Ok, so why when I send the gcode to the memory card is the first few mm of the part missing when I print it, even though I can see it is all there in Cura?